I have listed a new property at 4 3179 FLINT ST in Port Coquitlam. Please visit our Open House at 1838 LAURIER AVE in Port Coquitlam. Please visit our Open House at 1838 LAURIER AVE in PORT COQ. I have listed a new property at 1838 LAURIER AVE in PORT COQ. EXQUISITE 4326 sq ft home near Wellington Park with 2 basement suites! 7 bedrooms + den, 6 full baths & floorplan is 10/10. Gorgeous living area with gas F/P, large formal dining room. Gourmet Open Concept Kitchen; fully loaded with S/S appliances, Granite countertops, Centre Island, loads of H/W cabinets & good sized eating area. Double french doors lead to covered balcony, S facing fully fenced yard. Family room, has Gas F/P; finishing is stunning! DEN, & 3 pce bath on main too! Upstairs are skylights, study area, & 4 bedrooms. Master bedroom has W/I closet, double French doors to own balcony & ensuite bath with Jacuzzi tub & separate shower. H/W radiant heated flooring. Below is a 2 bedroom legal suite with laundry & an in-law suite. DET 525 sqft garage, RV parking & motorized gate. I have listed a new property at 16 2957 OXFORD ST in Port Coquitlam. This beautiful end unit was completely updated. 3 bedrooms plus a large room that can be used for whatever your needs are: playroom, office, hobby room, family room or 4th bedroom. Down is a great working kitchen with an eating area. Livingand dining room overlooking a good size fenced backyard. Only minutes from Costco, Walmart, Canadian Tire, the new Skytrain, West Coast Express, buses, the new No Frills food store, Kins, restaurants, veterinary, schools, golf course, rec centre and the list goes on. Pets are welcome! Central to everything. First Showing at Open House: Sun, Sept 28th, 2-4 PM. Please visit our Open House at 3632 WELLINGTON ST in Port Coquitlam. I have listed a new property at 3632 WELLINGTON ST in Port Coquitlam. IMPRESSIVE! Professionally FULLY reno'd 3,558 Sq ft, 3 Storey family home w/ 7 bdrms & 5 baths! Quiet area across from park, mins to schools & shops. EXTENSIVELY updated top down: windows, roof, furnace w/ heat pump, A/C, 200 amp, 2 HWtanks, jetted tubs, kitchen, baths & Merbau H/W floors. All bdrms are large & contain WI clsts. NEW Paint, fixtures & decor show 10/10. Extra M/Bdrm on main flr is perfect for teens & guests. Cherry kitchen w/ Dbl French drs off dining leads to covered deck overlooking a mature, Private, Hedged to perfection yard with i/g sprinklers. 2 bdrm in-law suite w/ own ldry, gas F/P & SEP entry. Lane access, build DET garage to suit. Too many extras to list! Open House: Sun, June 1st, 2-4 PM. I have sold a property at 1756 MANNING AVE in Port Coquitlam. Listing Broker: Royal LePage West R.E.S. I have sold a property at 1995 GRANT AVE in Port Coquitlam. CHARMING updated 2 Baths, 3+ bdrm home, on 4884 Sq Ft CORNER Lot, w/ a BONUS 2-storey DETACHED 600+ Sq Ft SHOP & LOFT, that's fully insulated, heated, 30 AMPS, cable, & tel service; use as HOME office, wrkshop, Hobby rm or RENT out for $$.Bring your ideas! This home shows very well; Updated Kitchen, w/SS appls & Laminate/Tile Flrg throughout, new paint, dbl glazed windows. HIGH Ceilings, 2 pc Bath on main & spacious floor plan. Upstairs are 3 Lge bdrms, & 4 pc bath. Master Bdrm has W/I Clst. Dbl Sliders off dining lead to PRIVATE fully fenced backyard, w/ covered sundeck & garden. Newer Roof & H/W tank. DET garage has lane access, RV pkg. Ideally Located nearby ALL Amenities. Too much to list! A MUST SEE! Please visit our Open House at 1995 GRANT AVE in Port Coquitlam. CHARMING updated 2 Baths, 3+ bdrm home, on 4884 Sq Ft CORNER Lot, w/ a BONUS 2-storey DETACHED 400 Sq Ft SHOP & LOFT, that's fully insulated, heated, 30 AMPS, cable, & tel service; keep as HOME office, wrkshop, Hobby rm or RENT out for $$.Bring your ideas! This home shows very well; Updated Kitchen, with SS appls & Laminate/Tile Flrg throughout, new paint, dbl glazed windows. HIGH Ceilings, 2 pc Bath on main & spacious floor plan. Upstairs are 3 Lge bdrms, & 4 pc bath. Master Bdrm has W/I Clst. Dbl Sliders off dining lead to PRIVATE fully fenced backyard, w/ covered sundeck & garden. Newer Roof & H/W tank. DET garage has lane access, RV pkg. Ideally Located nearby ALL Amenities. Too much to list! A MUST SEE! CHARMING updated 2 Baths, 3+ bdrm home, on a 4884 Sq Ft Lot, with a BONUS 2ND Two-storey DET garage that is fully insulated, heated, 30 AMPS & cable, tel service; use as a HOME office, wrkshop, or Hobby room. It also has a large LOFT,bring your ideas! At the price of a Town House, you can own this Detached home; 4ft Crawl Space & loads of room to grow. Nicely Updated Kitchen & Laminate/Tile Flrg, new paint, dbl glazed windows. 2 pc Bath on main & Spacious floor plan. Upstairs are 3 Large bdrms, & 4 pc bath. Master Bdrm has W/I Clst. Dbl Sliders off dining lead to PRIVATE fully fenced backyard, with covered sundeck & garden. DET garage, lane access, RV pkg. Ideally Located nearby ALL Amenities. Too much to list! A MUST SEE! I have listed a new property at 1995 GRANT AVE in Port Coquitlam. CHARMING updated 2 Baths, 3+ bdrm home, on a 4884 Sq Ft Lot, with a BONUS 2ND Two-storey BUILDING on the ppty; Insulated, heated, 30 AMPS, cable, tel, use as a HOME office, wrkshop, or Hobby room. It also contains a large LOFT, bring your ideas! At the price of a Town House, you can own this Detached home; Cathedral Entry, Nicely Updated Kitchen, & Laminate/Tile Flrg, new paint, dbl glazed windows, 2pc Bath on main & Spacious floor plan. Upstairs are 3 Large bdrms, & 4pc bath. Master Bdrm has W/I Clst. Dbl Sliders off dining lead to PRIVATE fully fenced backyard, with covered sundeck & garden. 4 ft Crawl Space & loads of room to grow. DET garage, lane access, RV pkg. Ideally Located nearby ALL Amenities. Too much to list! A MUST SEE! I have listed a new property at 1920 GRANT AVE in Port Coquitlam. BRIGHT 2,687 SqFt, 6-bedroom/3-full bath family home with a 2-bedroom Basement Suite. Features a great layout, bright kitchen w/large eating area that opens into family room w/a gas F/P. Dble slider lead to covered balcony for all your BBQpleasure. Laminate & tile flooring throughout. 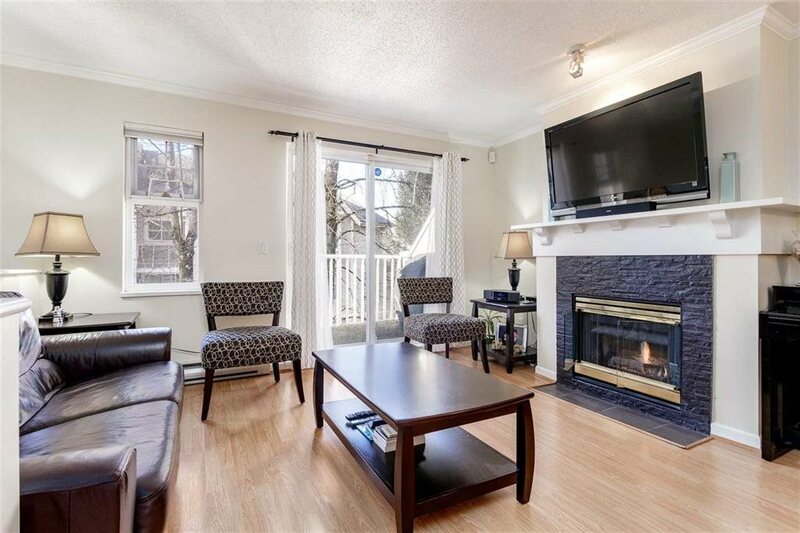 Formal living & ding rooms w/bay windows, vaulted ceiling & a 2nd cozy gas fireplace on main floor! Upstairs are 4 great sized bedrooms or keep one as a den. Master bedroom has WI closet & 4-pc ensuite. Downstairs is BRIGHT, w/walkout basement & has a 2-bdrm suite/FULL bath & separate entry, perfect mortgage helper. Dble garage w/back lane access. BI security system, too much to list. Close to shopping, recreation & schools. A MUST SEE!